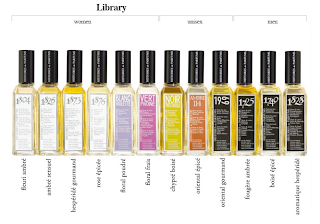 What it struck me first at Histoires de Parfums was how effortlessly modern they are. No, I don't want to make a cheap pun here. Now it doesn't matter the name of the company. I just found myself thinking, yes, this is how all these modern mainstream perfumes thrown on the market everyday should smell. These are modern perfumes. And I say that, my most beloved perfumes are between 85 and over 100 years old. But if it was to be new, modern, that would be. First of all, they smell like perfume. You put them on, any of them (didn't try though the last ones, Moulin Rouge and Tubereuses) and you smell of good perfume. You don't go for experiments, innovation. You don't go for classic either. It's nothing too less or too much. You smell like a lady with a good perfume on. Secondly, they don't smell artificial. I understand that most of perfumes use synthetic ingredients. I also understand that there are huge differences between the quality of these synthetic ingredients, as goes for natural ones, too. While in most of the new perfumes I can detect immediately the artificial, the plastic notes, or be bothered by bad quality of naturals (like jasmine sometimes) Histoires de Parfums avoids that in all their perfumes. Either I found them be my taste or not, it was not one of them to feel like washing it up because I can't stand it. 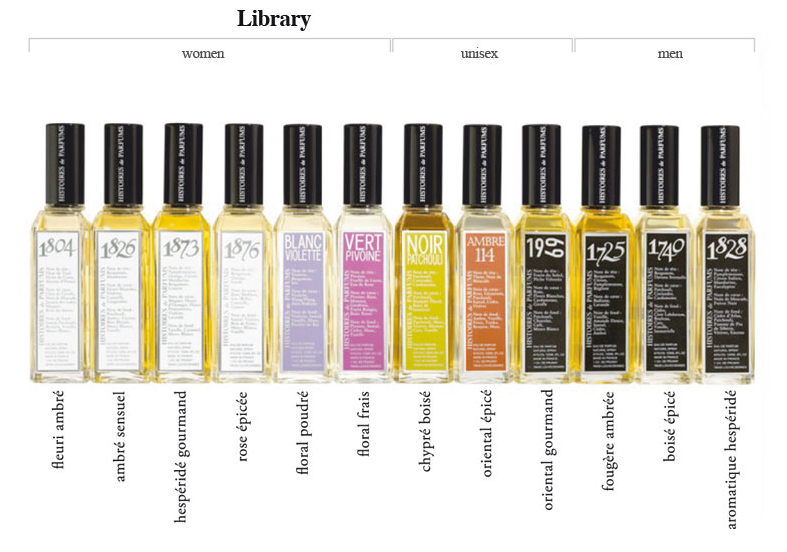 And most important, Histoires de Parfums smell like modern which can become classic. They don't smell like big innovation, it's rather that they take what is new and make it real perfume, more complex, wearable, easy, elegant, warm on skin. And they don't yell. For me this is what Jacques Guerlain would have liked today. For tomorrow, too. And now coming to the outer appearance, all the image concept is great. I like the name and I like the packaging. I would love to have a boutique and sell these sophisticated bottles. I prefer them around ten thousand more then By Kilian, for example, which I wouldn't dare to offer as a gift to anyone. PS I try Histores de Parfums now and then. Today, still being in my spring hunting for a proper perfume, I tried Collete, 1873. I was hooked by the smell on the skin, on the paper keeps the grapefruit for too long and dominant. And few minutes ago I went to Luca Turin and Tania Sanchez' 'Guide' and what I read: '1873 runs a close second' after 'Aqua Allegoria Pamplelune which is the most successful fragrance ever built around (…) grapefruit peel'. AND!!! `the basic structure is a beautiful orange-blossom oriental that shares something with L'Heure Bleue'. I knew it! My beloved L'Heure Bleue. 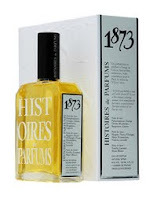 I haven't tried Histoires de Parfums, but you make them sounds definitely like they are worth a try. I'm going to put them on my to try list. Thank you for reading here, SignatureScent. This is how I got my samples. Today I'm trying Vert Pivoine on one hand and Ambre 114 on the other. Vert Pivoine would be great, for example, for any young girl now, in spring, instead of any of the mainstream made to appeal young customers.